Teeling is another Irish whiskey company that proves to the world why Irish Whiskey is amongst the best. Offering 4 different twists, we managed to get our hands on 3 of them. This small batch bottling consists of hand selected casks which are given further maturation in ex-Flor de Cana Rum barrels imparting an extra sweet and smooth flavour unique to Irish Whiskey. By bottling at 46% with no chill filtration completes an Irish Whiskey of true character. This is a full bodied whiskey that gives you notes of spice and citrus when sipping. which begs for cuddling under a warm blanket on a cold winter night whilst sipping away. The color is a warm copper shade and really inviting. Its aroma has notes of vanilla and rum, the latter because of the casks used. This one is strong and beasty so try it if you are in to that sort of taste, if not, then it might be worth adding some water if it’s too strong for you. With not many other Irish single grain whiskeys in circulation, this twist from Teeling is unique in that it has been kept in Californian Red Cabernet Sauvignon casks. Lovely and sweet with a good deal of spice and fruit sit waiting in this glorious blend. The nose is of apple, red grape and brown sugar where as the taste is very syrupy and of spicy cranberries. One of my personal cravings – I love this one after tasting it once! There’s no wonder why this one has won various awards. It’s really easy sipping and if you don’t pay attention, you will finish the bottle very easily and wake up with a smile on your face to combat the hangover. Smelling of grapes and white chocolate, the taste resembles a sweet yet sharp tone of chocolate and honey with a sprinkle of salt. 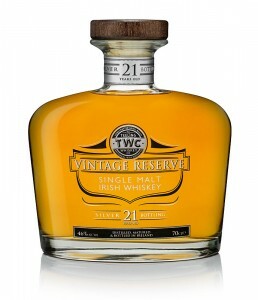 This Silver Reserve bottling consists of 21 Year Old Irish whiskey distilled in 1991 and matured firstly in Bourbon casks then allowed to marry in Sauterne wine casks to provide a truly unique Irish whiskey taste experience. Hurry though, there were only 5 000 bottles released. A huge thanks goes out to Teeling for sending us some samples, without which I would not have tasted some of the best drinks out there. If you want some excellent Irish whiskey, please give Teeling a shot, you will thank me forever. My favorite is the wine cask single grain – absolutely amazing!